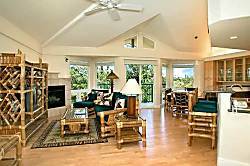 Villas on the Prince is a luxury town home development in Princeville. The complex is located at the entrance to Princeville and within walking distance to the shops at Princeville and Prince Albert Park. Many units have golf course views. 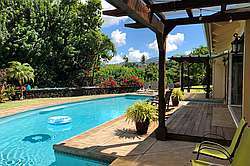 Villas on the Prince features a small but attractive swimming pool. 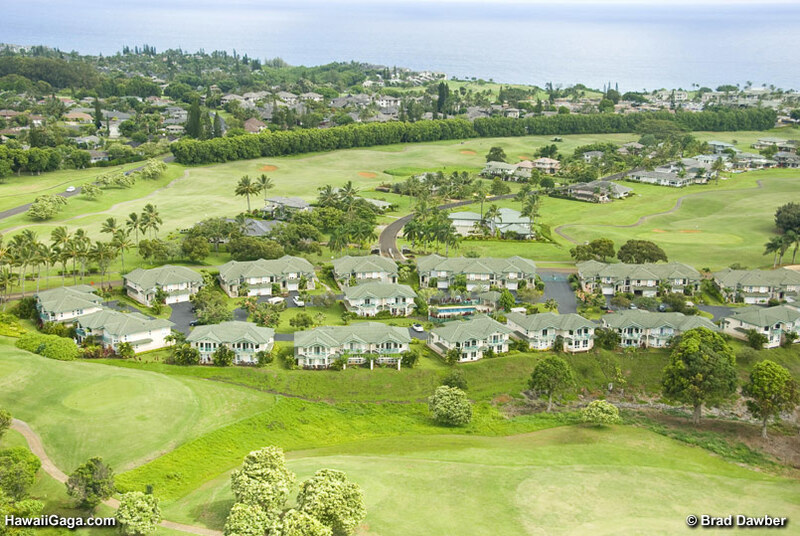 The units at Villas on the Prince are among the most spacious and luxurious of those available in Princeville. The western section of Anini beach is about a 20 minute walk away. Alternatively, the eastern section is a 10 minute drive. A path leads from the Villas to the Prince Golf Course club house, roughly a 15-20 minute walk. Evening walks on the golf course paths are a favorite activity of residents. 3 Bedrooms, 3 Baths, Sleeps 6. Minimum 30 day rental.